When your paper sparkles more than the gemstones! This is what happens when you can't sleep and get up to craft for a while instead. 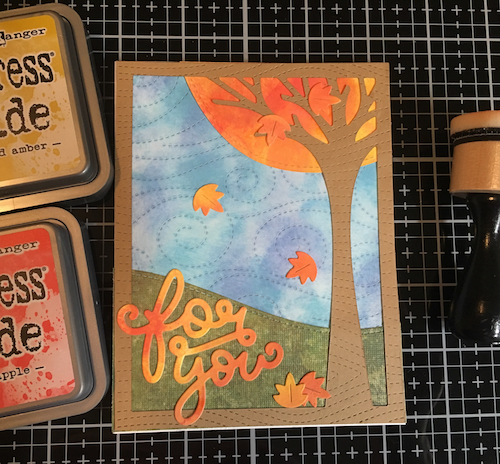 Simon Says Stamp Blog's Work It Wednesday Challenge October 2018: Give Thanks! Lawn Fawnatics Challenge 39 Bling It Out! and My Favorite Things Wednesday Sketch Challenge - Sketch 408. 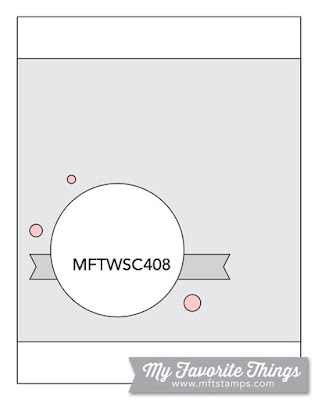 Spellbinders Nestabilities Dies Standard Circle, SM: 3"
Use gold glitzy sparkle paper with the 3" circle die. From the silver glitzy sparkle paper cut two stripes the width of your card 5" long each, at a height that looks good to you. 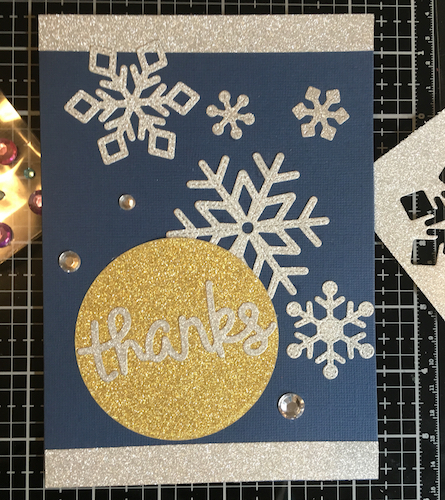 Use the remainder of the silver glitzy sparkle paper with the "thanks" and snowflake dies. When all of these are glued onto your card, add some clear gemstones for a final sparkly touch. 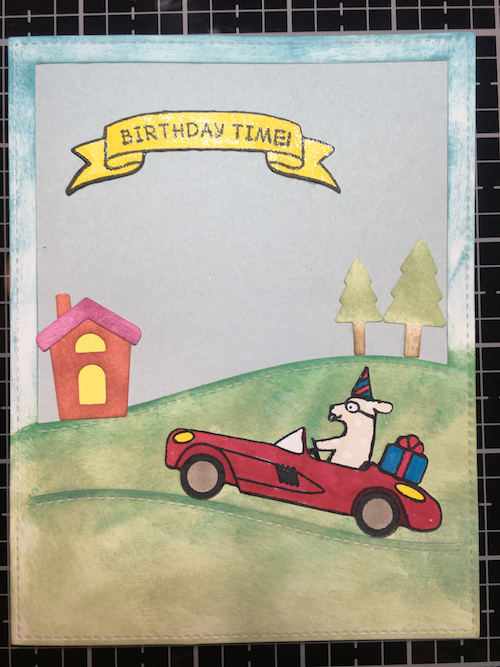 The template for this card from My Favorite Things Card Challenge Sketch 408. I'm happy with how this card turned out! It looks so fall-like to me, and it required zero stamping. It's nice to take a break from using stamps now and then. and Papercraft Business Challenge 11: October 2018; optional Halloween/Fall/Autumn. 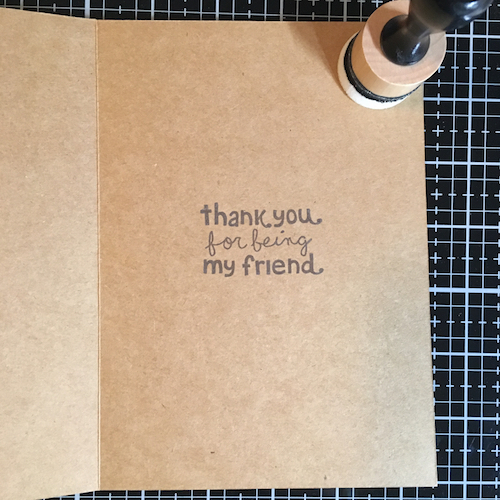 Your first step is to run the sheet of brown paper through your die cutter with the Woodgrain Backdrop, and take the resulting sheet and send it through again with the Leafy Tree. Do the same for a white piece of paper and the Windy Backdrop, and a green patterned paper and the Hillside Borders. Take the Broken China and Faded Jeans Distress Oxides and apply them to your white paper with the windy backdrop. Add and blend until you're happy with the results. Mist with water and gently dab to lighten the oxides. Use the Fossilized Amber, Spiced Marmalade, and Candied Apple on a blank sheet of white paper, blending and mixing until you like the results. Run "for you", the leaf portion of the tree, and one set of leaves through your die cutting machine with this mixture of colors. 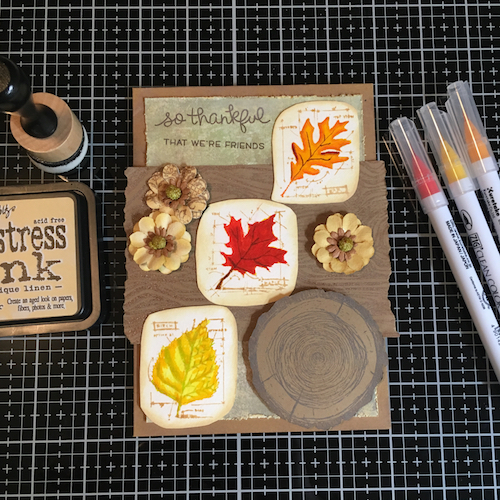 If you're using the tree die cut flipped and with the tree on the right side of the paper as I did, remember to reverse the die on the sheet of autumn colors for your leaf portion of the tree, so the color ends up on the correct side when you go to glue it. Use your paper cutter to trim the sky and ground to the dimensions of the card. The gluing order should be sky, ground and leaf part of tree, tree/border, and last sentiment and random leaves. A self-propelled method of travel! This is my best vintage/shabby chic card yet! and Frilly and Funkie: Planes, Trains, and Automobiles Challenge. Starting with the blank card, use Frayed Burlap around the edges with a blending tool. Mist gently with water and pat dry. Using the paper cutter, trim your chosen patterned paper to slightly less than the size of the card front. Center and glue to the front of your card. Repeat the use of the Frayed Burlap, misting, and patting dry. 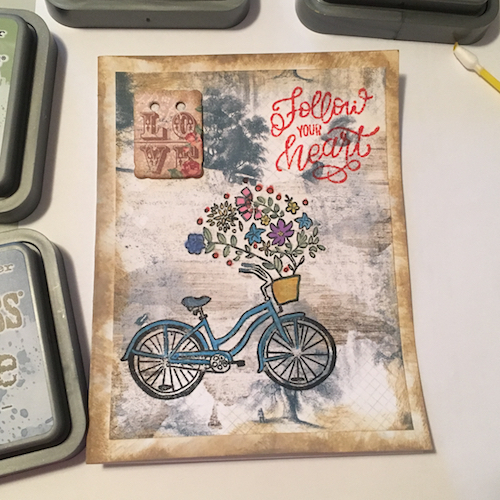 Stamp the bicycle with the black ink in your MISTI or equivalent stamp positioner, and color in using nail tees and distress oxide inks. (Nail tees are like Q-tips with a sharp pointed end.) 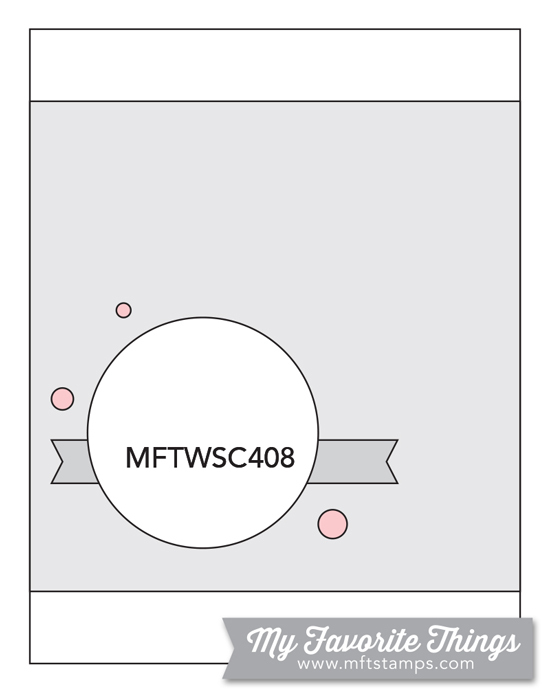 Use the stamp positioner also for the sentiment in Candied Apple. In retrospect I should have used a darker color; I was trying for a match to the roses on the button and didn't make it. Before adhering the button to the card, add some Frayed Burlap around the edge and mist lightly. Pat dry and stick to card.